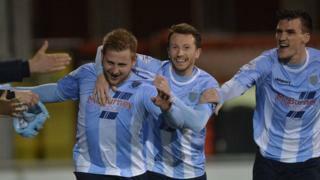 Ballymena United beat Crusaders 2-0 at Seaview to progress to the semi-finals of the County Antrim Shield at the expense of the league champions. David Cushley and Tony Kane scored the goals during a five-minute period in the second half to give the Sky Blues a deserved win. 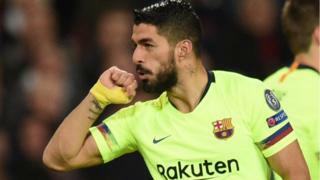 United also had two 'goals' chalked off, one at the end of the first half and another at the conclusion of the second.